Aquatic Weed Razer | PLM Lake and Land Management Corp. Remove your lake weeds or pond weeds in just minutes with the Weed Razer®. 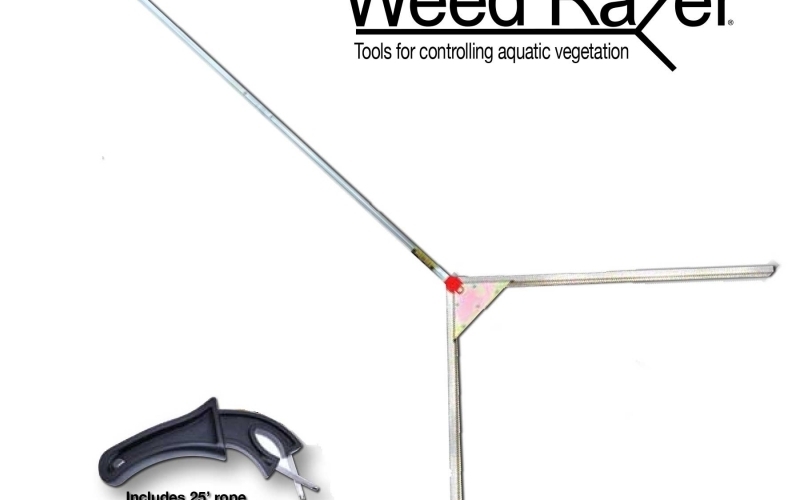 The Weed Razer is a unique V-shaped lake weed cutter with razor sharp blades designed to be the most efficient and effective lake weed cutting tool made. LAKE WEEDS are cut and removed in minutes with the Weed Razer. Remove your lake weeds or pond weeds in just minutes with the Weed Razer®. The Weed Razer is a unique V-shaped lake weed cutter with razor sharp blades designed to be the most efficient and effective lake weed cutting tool made. This weed cutter will cut or shear almost any type of rooted aquatic vegetation like milfoil, lily pads, pond weed and even cattails. 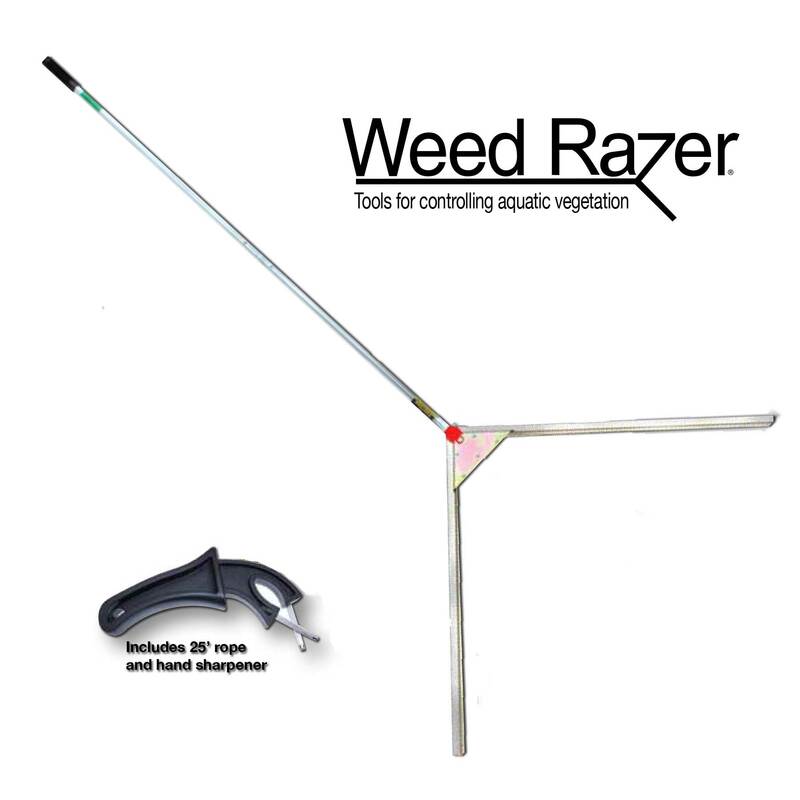 The Weed Razer clears a path 48″ (4 feet) wide each throw. Weighing in at just 8 pounds it is light enough to toss 30 feet or more yet heavy enough to sink to the bottom. The Weed Razer was improved for 2008 with the Weed Deflector. The Weed Deflector is an accessory for the Weed Razer designed to enhance the performance of the Weed Razer. 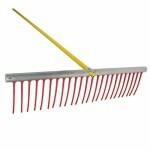 All Weed Razers come with the Weed Deflector. 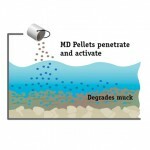 If you have lake or pond weeds, then the Weed Razer is the perfect tool for you. Once you cut or shear the lake or pond weed, we recommend that you remove the cut vegetation from the water. Decaying vegetation will provide nutrients that can stimulate new vegetation. 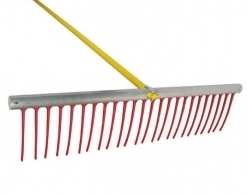 Click here to learn more about lake rake which is specifically designed for this purpose.